format with the text on the even-numbered pages and illustrations and analogies on the facing odd-numbered page. * Large, high-quality, original illustrations presented in two- colors, (black and white with colored highlights). * Students may choose to color these illustrations to aid their comprehension of the material. * Helpful icons throughout the book identify microscopic structures, study tips, two and three-dimensional structures. * A "visual index" will be included for easy referencing. 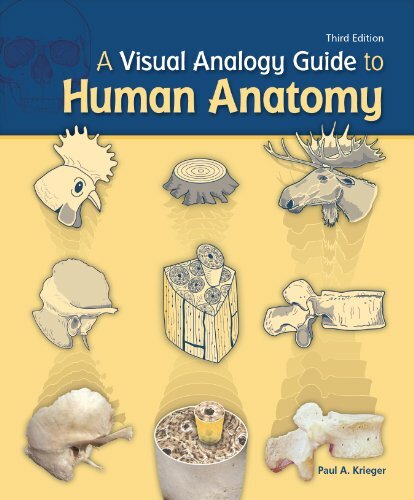 Located on the upper right-hand side of the odd numbered pages, these "visual index" illustrations will allow the reader to quickly locate the analogy he or she wishes to study. * When a diagram has a fill-in-the-blank section, the answers will be found on the facing page. This will allow the student to learn not only through self-quizzing, but also through the process of re-writing the correct information in the labeling areas.